Stunning & immaculate, custom one-owner ranch in desirable Arbor Lake! 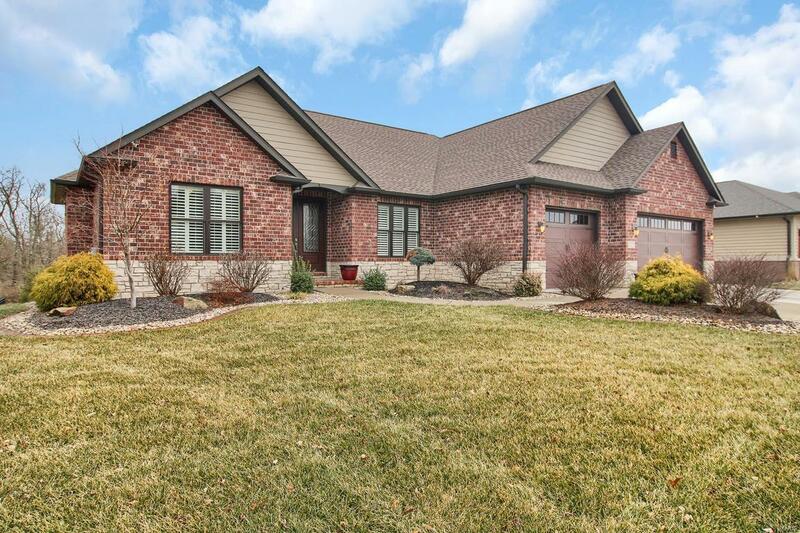 Loaded w/all the bells & whistles, this beautiful home is sure to please. Open floorplan boasts expansive living room w/fireplace, built-ins & cathedral ceiling that is open to every chef's dream kitchen featuring abundant Amish cabinetry, granite, glass tile backsplash, walk-in pantry, stainless appliances & massive island for extra counter prep space or entertaining! Master suite (w/deck access) has lighted tray ceiling, ensuite bath w/tile shower/floors, dual granite vanities & 10x10 walk-in custom closet. Guest full bath also w/granite,tile & dual vanities. Also on 1st floor is office w/built-ins & French doors & large laundry room/drop zone w/tile, sink & extra storage. Walkout lower level has large family room, is plumbed for 4th bath & can accomodate 4th & 5th bedrooms & still allow ample storage. Outside features no-maintenance concrete deck w/awning, patio & private wooded backyard.